Among the numerous saving options available in the market, Fixed Deposits have gained popularity. The assured returns, higher interest rates and, most importantly, the security of your funds is what drives most investors to park your savings in Fixed Deposits. Of course, Fixed Deposits do yield good returns. A bit of extra vigilance on your part will ensure that your reap the maximum returns from your savings. Here are some things to keep in mind when looking to reap the dividends from a Fixed Deposit. You can hold a Fixed Deposit with any bank, financial institution, or NBFC. The interest rates offered differs between banks. By choosing a bank or NBFC that offers the highest rate of interest on fd, your savings can be maximised. Remember to verify the credentials and financials of a company, if you aren’t going with a nationally recognised bank for your Fixed Deposit. Your goal is to make the most from your savings and the having the best fd plan in place is one way to get that. See which plan offers you excellent returns along with liquidity, before you finally decide on one. Banks and NBFCs offer various Fixed Deposit schemes, which vary in terms of their tenure, interest rates, and interest payouts. Lock in your FD for a longer duration, especially when the interest rates are high, and you will see good returns on it. 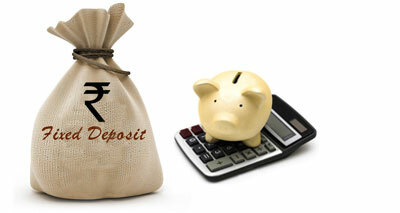 Fixed Deposits offer attractive rates of interest. Your interest return can be further enhanced by opting for a cumulative Fixed Deposit wherein you earn interest on interest. Opting for such a Fixed Deposit gives the benefits of compounding interest, which will consequently maximise your returns. Banks and NBFCs tend to levy a penalty in case you pre-close your Fixed Deposit. With the consequence, you lose interest. A better option would be to invest in multiple Fixed Deposits of varying tenures. This will not only ensure liquidity but also give you the option for reinvestment, especially when the interest rates show an uptrend. FD interest is subject to TDS. Incase, your interest earned is more than Rs.10,000, TDS is inevitable. To avoid TDS, and thereby increase your savings from the Fixed Deposit, it is best to spread out your FDs across multiple banks. Alternatively, Fixed Deposits can be held in the name of your family member who earns income below the taxable limit. Fixed Deposits are a safe haven to park your savings. With a bit of planning and forethought, your FD’s can help to multiply your savings.